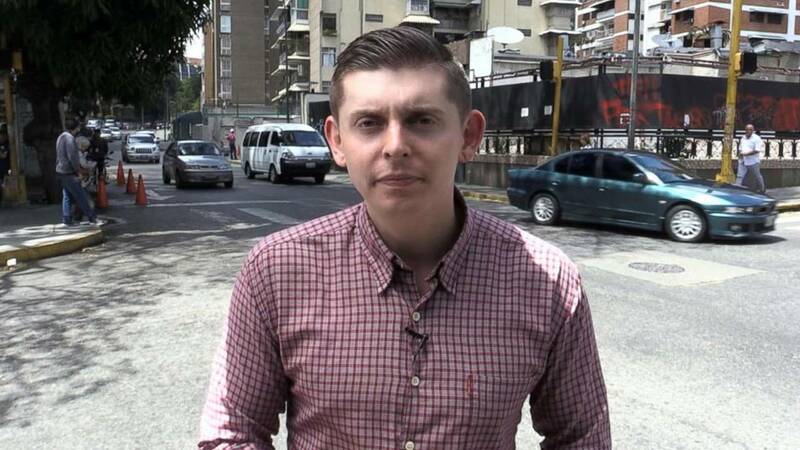 Cody Weddle will continue reporting on the crisis in Venezuela from South America. PEMBROKE PARK, Fla. - More than month after being taken into custody and thrown out of the country, Local 10's Cody Weddle has returned to South America to cover the crisis in Venezuela. Weddle has relocated to Bogota, Colombia, where he will continue to report on events in Venezuela with information gathered through his sources inside the country and throughout the region. "The crisis in Venezuela has reached such a magnitude that its effects are seen across the region, especially in neighboring Colombia," Weddle said. "We'll be covering the unprecedented mass migration of Venezuelans from Colombia while continuing to report on the unfolding political standoff using our contacts on the ground in Venezuela." After having lived and worked in Venezuela for almost five years, Weddle was taken into custody March 6 by military officials and interrogated for hours before being put on a flight to Miami and told to never return. Weddle will begin reporting again from South America on Wednesday on Local 10 News.